The Junior Professional (Polyester) Short reflects the same quality construction that you expect from Canterbury’s adult range. 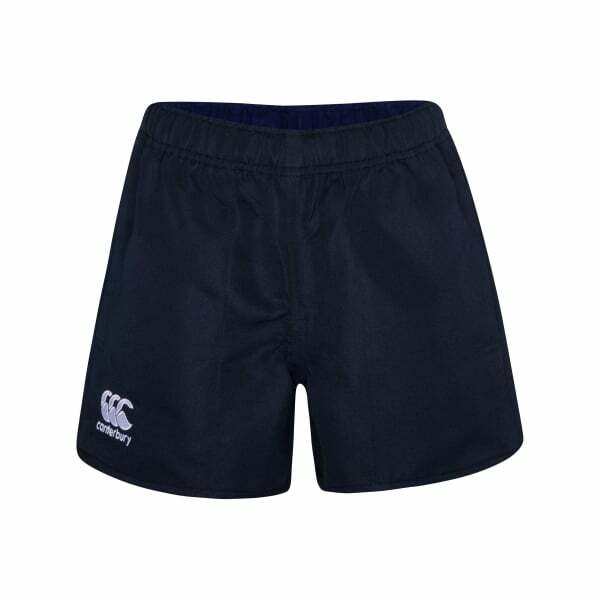 Expertly manufactured from 100% polyester twill, these shorts comes with an elasticated waist with drawcord, allowing for the maximum range of movement while ensuring a great fit. The flat felled seams and zig zag reinforced stitching make these shorts a stylish item to wear, whether you’re training on the field or relaxing at home, and the right hem area features the iconic Canterbury logo in white. For added convenience, the shorts come with side pockets reinforced with double bar tacks, providing utility with style and comfort, so the wearer can transition from a training session to home with ease.